AUSTIN, TX – Chuy’s, the Austin-based restaurant known for its authentic Tex-Mex menu and fun-loving atmosphere, is celebrating their 30th Annual Green Chile Festival at all locations. The festival kicks off Monday, August 13 and runs through Sunday, September 2. The restaurant will feature four new menu items for a limited three weeks during this year’s celebration - all made with legendary Hatch Green Chiles. 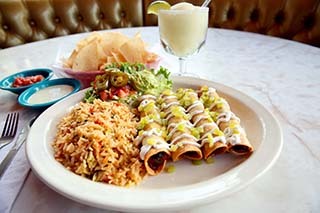 The menu includes Green Chile Chicken Flautas, stuffed with green chiles and fresh spinach, and drizzled with Crema Especial. One of the most unique items on the menu is the King Carne Burrito, stuffed with ground sirloin, bacon, green chiles and French fried potatoes. 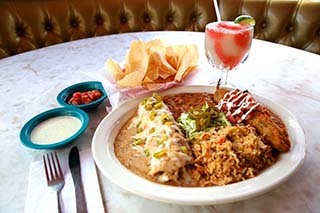 Also featured are the Chicken Velvet Enchiladas and the Cosmic Combo, complete with a house favorite, Chile Relleno. 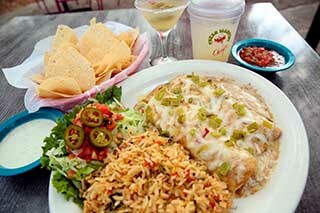 Chuy’s has 97 restaurants in 19 states. 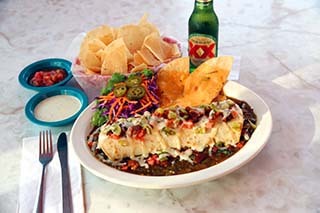 To find a participating location near you, visit www.chuys.com/locations.